It's all about the fabric for me. What's new in the mail to me and what's new out there. 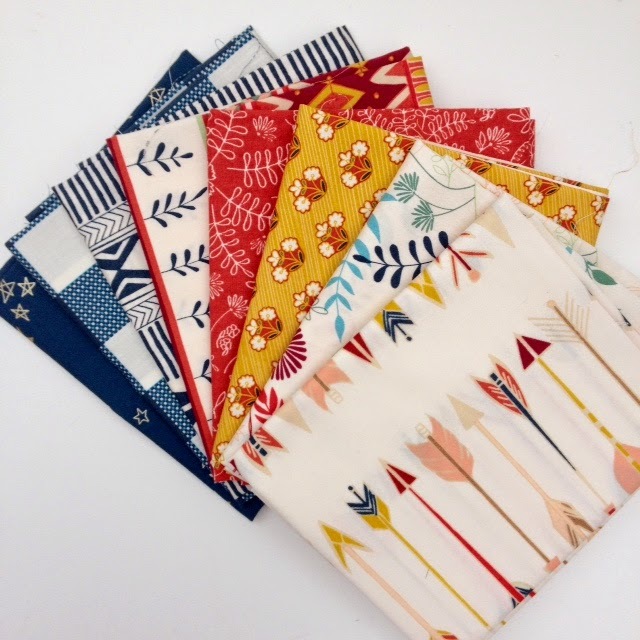 Around the internet this week, I have seen some beautiful new fabric lines but don't as yet have permission to share the photos so they will need to wait until next week. 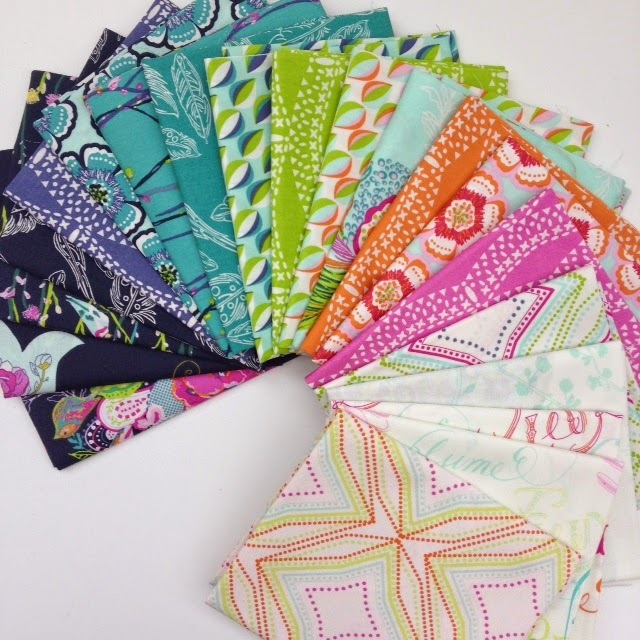 As for new fabrics coming into me, these three gorgeous bundles have all arrived this week. 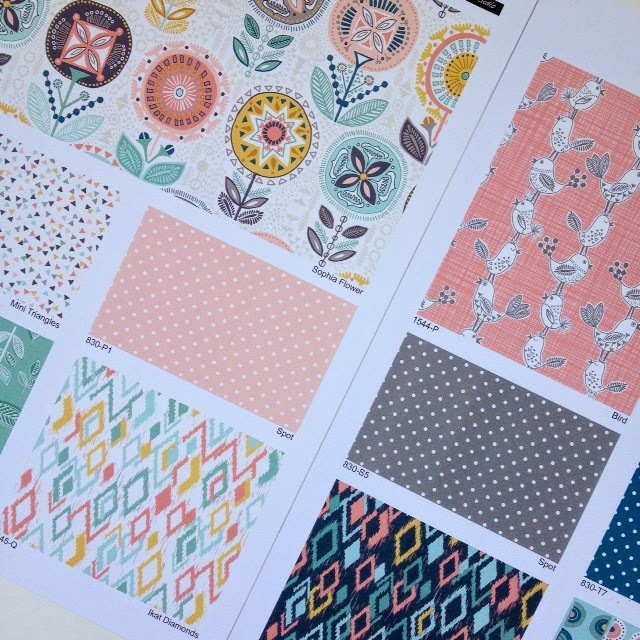 First billing goes to Petal and Plume by Bari J for Art Gallery Fabrics. And as I'm a sucker for blenders, I have to show you these blenders from this line separately. 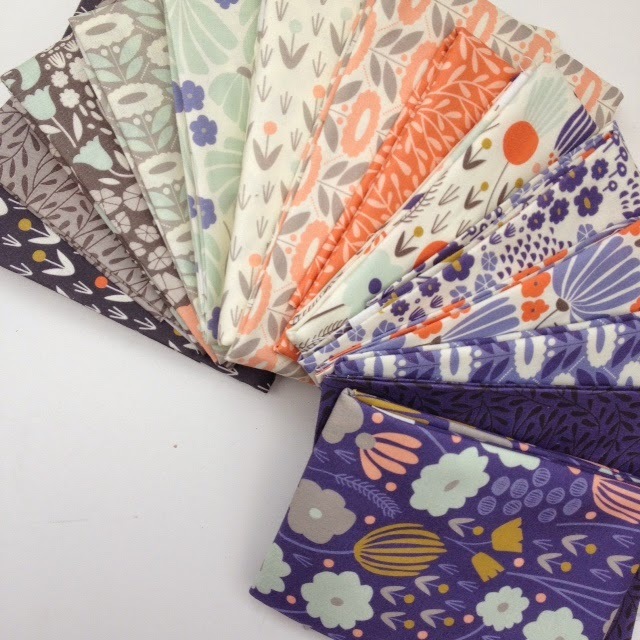 This beautiful gentle new line is Morning Song by Elizabeth Olwen for Cloud9 Fabrics. 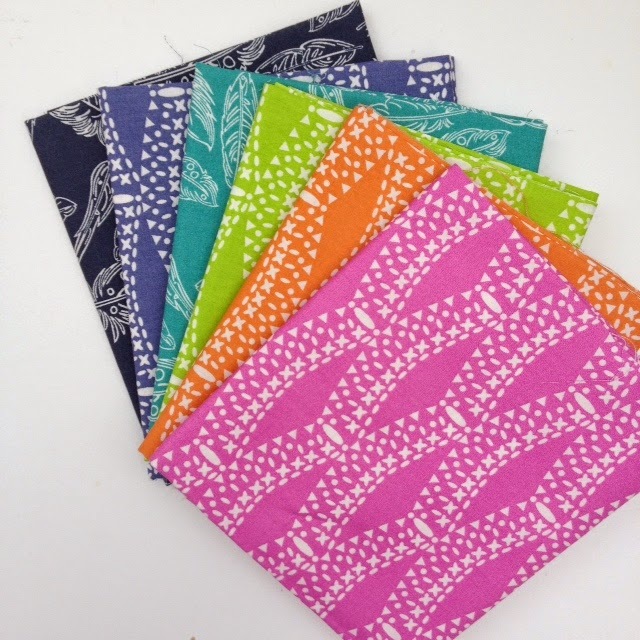 The next bundle is Wild & Free by Maureen Cracknell for Art Gallery Fabrics. And then we have two new lines coming from Makower. The first is called Sophia and has a lovely modern fresh feel with a really soft palette. I have seen the strike-offs of this line but don't have any here yet - coming soon I hope. The second is a new line of blenders called Linea which make a lovely alternative to solids as a background fabric. I especially love that mint colour and the deep berry colour of these. Oh, those Bari J blenders...absolutely gorgeous! The Linea line looks like it could be a really useful basic - I hope it's popular and they extend the colour range!